Ciara graduated from the University of Bristol in 1996 with Distinction in Child Dental Health and was awarded the George Fawn Prize. She completed a number of training posts in both the UK and Ireland before qualifying as a Specialist in Orthodontics in 2005. She was awarded Fellowship of the Faculty of Dentistry at the Royal College of Surgeons in 2005 and became an Examiner in 2009. In 2016, she became the first Irish Orthodontist to be awarded the prestigious Membership of the European Board of Orthodontists, following examination and presentation of a portfolio of complex cases treated to the highest standard. 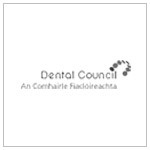 In addition to her clinical commitments, Ciara maintains a role as a Clinical Supervisor to undergraduate students in the Dublin Dental Hospital and represents the Irish Dental Association on the Irish Committee for Specialist Training in Dentistry. She is a former member of the Editorial Board of the Journal of the Irish Dental Association and retains a role as a reviewer. She is the regional winner of the Sensodyne sensitive dentist of the year award 2017. Ciara also completed a Masters degree with RCSI in 2016 focused on improving patient centred outcomes for children with prominent from teeth. 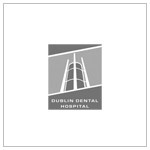 Copyright 2015 Blackrock Clinic Specialist Dentistry | Suite 20, Blackrock Clinic, Co. Dublin | All Rights Reserved.